Before I start talking about why I love the Tab 7.0 Plus so much in detail, let's break down what this thing is, what I like, and what I don't. Blazingly fast. Honeycomb + Exynos processor = buttery smoothness. The 7" form-factor feels great to hold, even with one hand. 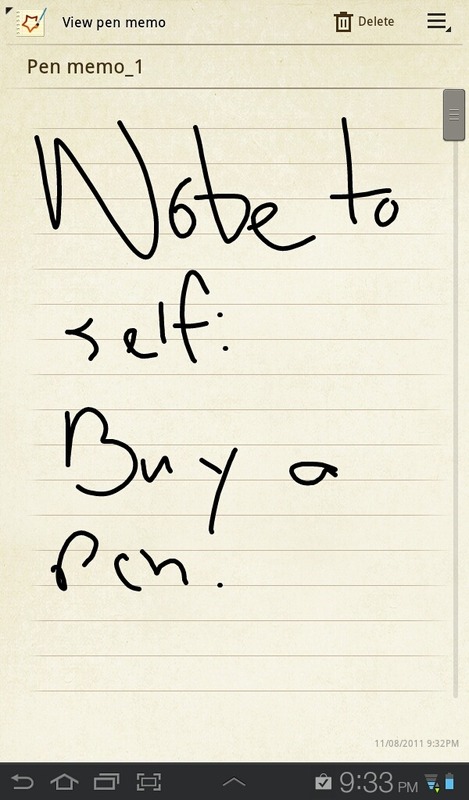 Two-thumb typing in portrait mode is pretty easy, too. Battery life is great (you'll easily get a day of heavy gaming or video out of it, 2-3 days of moderate use). 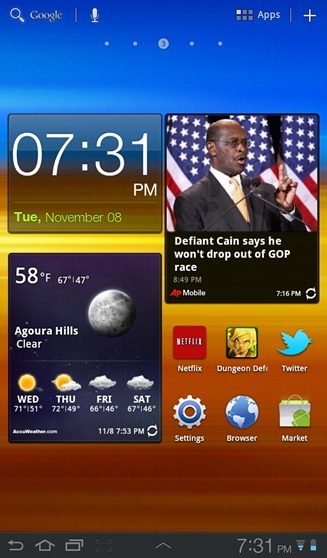 TouchWiz UX is something I'm actually starting to like, especially the resizable widgets. The Smart Remote app that allows you to control your TV/stereo/DVR via IR actually works, and on top of that, it's quite a well-designed app. Extremely sturdy feeling, not a single creak or snap the whole time I've used it. Proprietary chargers are a blatant money-grab at consumers - I don't want to buy your overpriced cables, Samsung. Wi-Fi signal strength is weak - I constantly seem to be losing my connection. Display viewing angles are average, not bad, but I'd expect better of such a new device from a company known for its display technology. Honeycomb was never really fully "fixed" by Google - there's still some occasional glitches and oddities. Compatibility issues with high-end games (such as Dungeon Defenders - which simply crashes). The Tab 7.0 Plus is just as attractive as its larger 8.9 and 10.1 siblings - perhaps even more so. Its aluminum back cover has no interrupting seams around the camera, giving it a very uniform look. All the ports and buttons sit very flush to the frame, and even the microSD card cover feels sturdy - not cheap. It all feels very un-Samsung - and that's a good thing. Button press actions are very natural, giving you a sense of surety when you tap the power or volume controls. The device hasn't let out a single squeak, crack, or snap since I received it. It feels as though every little component has been tightly packed into the Tab 7.0 Plus's razor-thin 9.9mm profile, lending a sense of density to the device which seems to almost belie the fact that it weighs significantly less than a pound. The Tab's size (the actual dimensions are about 7.7"x4.8") makes it, in my opinion, ideal for gaming and reading. My thumbs can reach halfway across the screen in landscape mode, and the light weight of the Tab 7.0 Plus means there's almost no hand-fatigue when holding it for long durations - even in portrait mode. The Kindle has shown that a 7" device seems to be the "sweet spot" for eReaders, and the Tab 7.0 Plus has made a believer out of me. The Tab 7.0 Plus's size also means that typing is much easier than on a 10.1" tablet, because you can enter text in portrait mode without having to fight the top-heavy effect of a larger device. Comparatively, the Galaxy Tab 10.1 (running TouchWiz UX, stock kernel, non-custom ROM) clocks in around or below 2000, while the Galaxy S II smartphone lands in the low 3000's. The Tab 7.0 Plus hovered between 3600 and 3800 in my tests. In fact, the whole reason I ran the benchmark was because the Tab 7.0 Plus just felt so much faster than previous Honeycomb devices I've used - especially for one having a manufacturer's UI overlay running. The browser scrolls extremely smoothly, even with large amounts of content on-screen. Menus scroll very smoothly, and this is the fastest I've ever seen the Android Market app run on a tablet. Even Gmail, which I've often found unbearably slow on Honeycomb tablets, is faster. Samsung's Exynos can clearly push Android a lot harder than NVIDIA's Tegra 2. As for storage, 12 of the 16GB advertised are available for your personal use, and space can be expanded via the microSD slot on the Tab. The real hardware trick up the Tab 7.0 Plus's sleeve, though, is its infrared transmitter. This is the first Android device to feature an IR transmitter, and Samsung has created a Smart Remote app to make it useful. What's it do? We'll talk about it in the software section. One gripe I do have about the Tab's hardware is in the Wi-Fi department. The Tab 7.0 Plus constantly seems to be dropping my Wi-Fi signal when my other devices aren't having any problems with signal strength, and on a Wi-Fi only device, this can be a major frustration. Of course, I'm pretty far from my router in the first place, so it could be that the Tab 7.0's antenna is just marginally weaker to the point where it's causing me a problem. The Tab 7.0 Plus is running a TouchWiz UX-skinned version of Android Honeycomb 3.2. 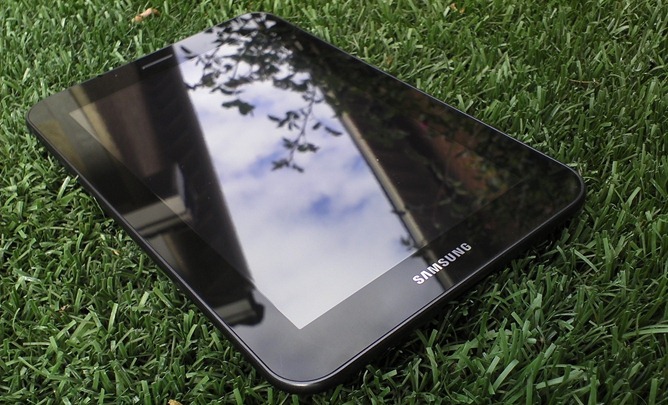 Running 3.2 out of the box means that many of the bugs and compatibility issues which plagued the first Honeycomb tablets have been eradicated, but it's not all roses on the OS end. Honeycomb is still kind of buggy. Random crashes in certain apps still happen (Market), capacitive touch can still occasionally wig out, the recent apps menu takes forever to load, and text input on the browser can be god-awful slow. But I will say, one thing I like about the software is Samsung's additions to it. Except the settings menu - the bright colors on white looks very dated when compared to stock Honeycomb's Tron-style black and blue. Samsung's AccuWeather.com app and widget, for example, are absolutely gorgeous. 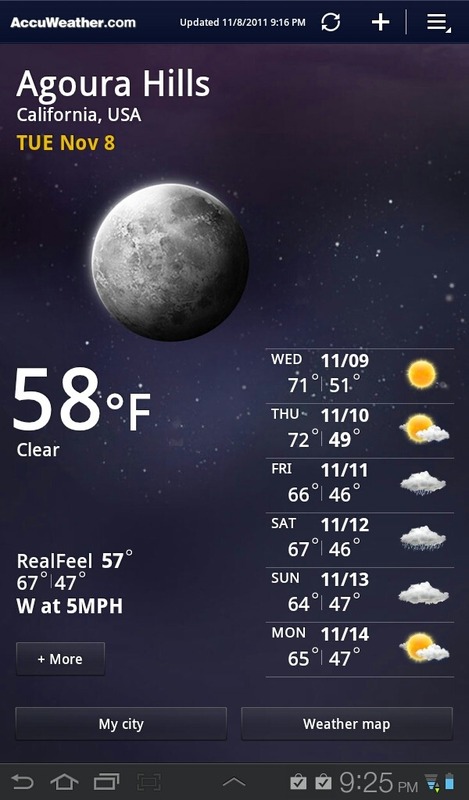 The resizable widget feature is something I really enjoyed, too - I think widgets are much more suited for tablets than phones, and the extra screen space means they can convey a lot more information and imagery on a single home screen. 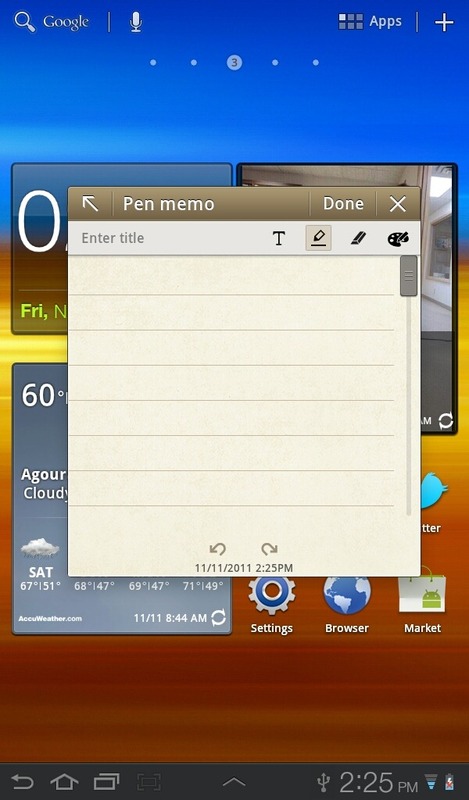 Samsung's TouchWiz UX also adds floating "windows" for certain built-in apps, like Pen Memo, which lets you leave hand-written notes. There's also the app I previously mentioned, Smart Remote. The app aims to take the place of your universal remote (and apparently your Google TV) by acting as a control and channel guide. 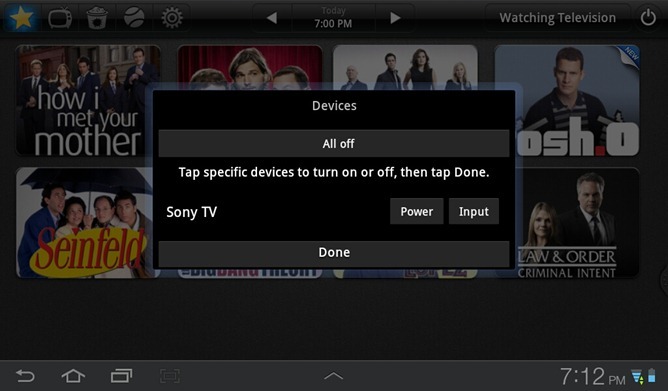 Smart Remote has the transmit codes for hundreds of TVs, cable boxes / DVRs, and stereo receiver systems. I got it working with a Sony LCD on my first try, and it'll even grab local listings from your cable or satellite provider by giving you a list of the available services in your area to choose from. 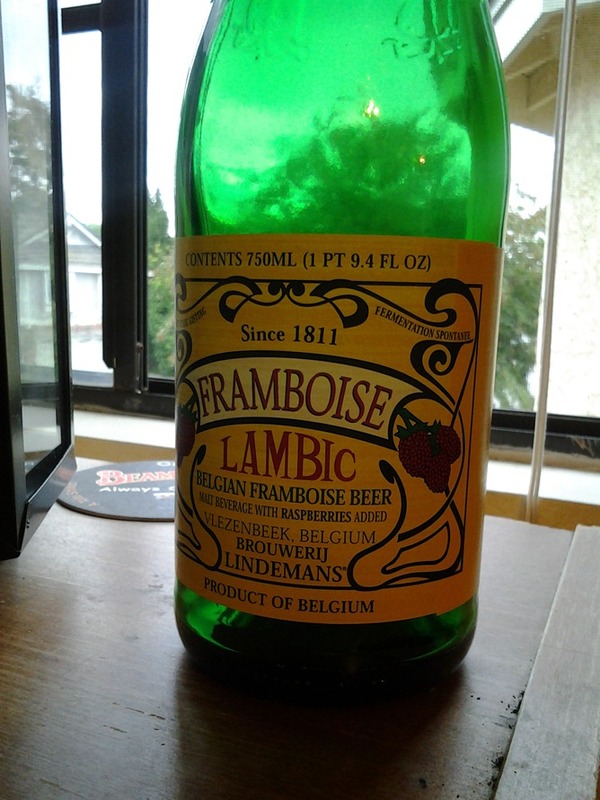 It really works, too - and I was kind of surprised it did. Hats off to Samsung for providing a real, working, value-added feature to the Android experience. One issue I have noticed with the Tab 7.0 Plus is that a number of high-end games I tried to play on it just wouldn't work - Dungeon Defenders being the most well-known example. This is likely just an issue of developers needing to update their games so that they're compatible with the Tab 7.0 Plus, but it's an annoyance nonetheless, especially on a device with such hardware horsepower. But, as a gaming device, the Tab 7.0 Plus, when games work, definitely is my favorite form factor - it's the perfect size for the job. 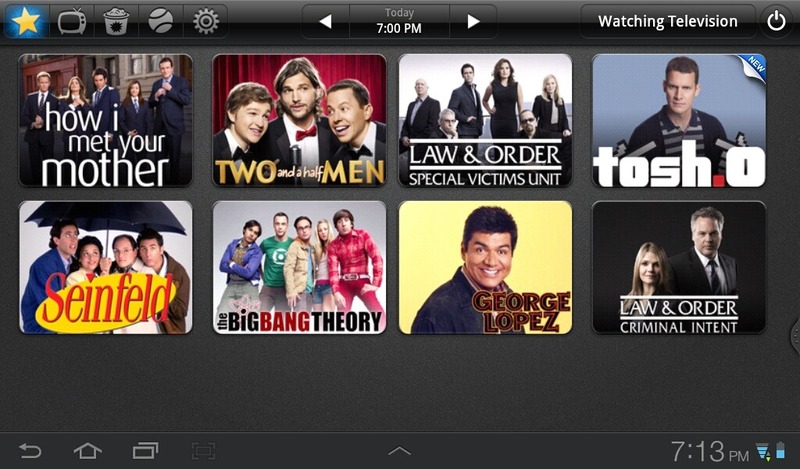 The big looming question about the Tab 7.0 Plus's software is, of course, when is the Ice Cream Sandwich update coming? The answer is: we don't know. 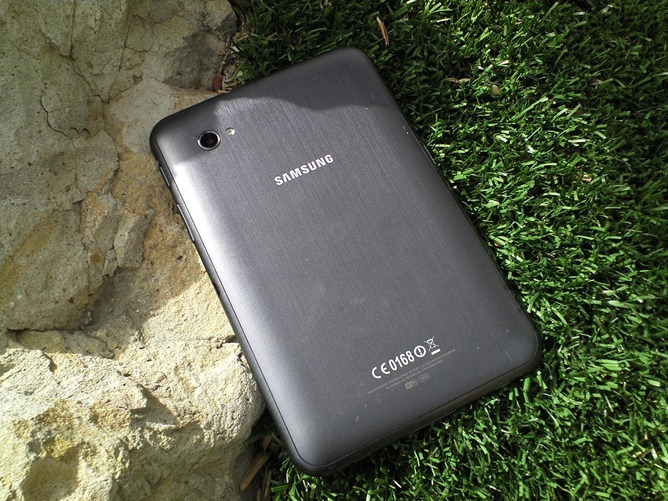 Samsung hasn't made any specific statements about ICS coming to the Tab 7.0 Plus, but you can rest assured that an upgrade is very likely, it's just a matter of when. 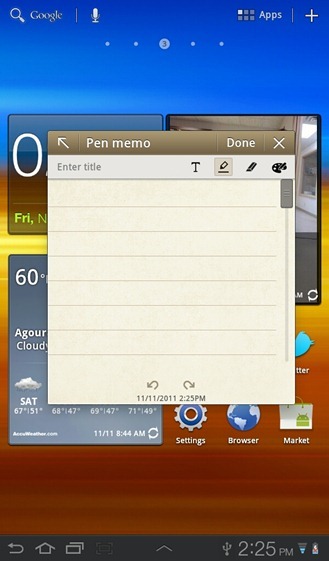 But if you're that anxious about ICS, the custom ROM community will probably come to the rescue long before Samsung. The Tab 7.0 Plus's LCD display is bright and vivid, and looks just as good as the displays you'll find on the Galaxy Tab 10.1 and 8.9. However, given that the Galaxy Tab is a new device, I kind of expected a bump in this department, particularly because the 7.0 Plus is so much smaller than than the 10.1 or 8.9. The 1024x600 resolution is adequate, and 170DPI is fine by my standards, though I certainly wouldn't complain if the pixel density had been upped a bit more. Viewing angles are no better or worse than most other Android tablets out there, and this is one area where I think manufacturers should be striving for improvement. They're not bad, but given the amazing viewing angles Samsung has achieved with its SAMOLED Plus displays on smartphones, this is a letdown by comparison. Battery life has been, on the other hand, exceptional. For a small tablet, the Galaxy Tab 7.0 Plus packs a lot of juice into its diminutive form factor. A day of heavy use would likely be fairly easy to achieve, as would two to three days of moderate to light usage. 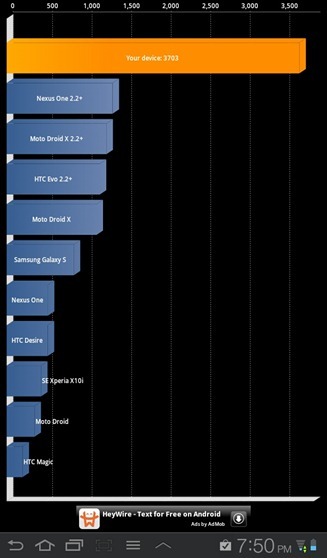 Some 10.1 inch tablets can't manage that, so the 7.0 Plus gets high marks in this area. 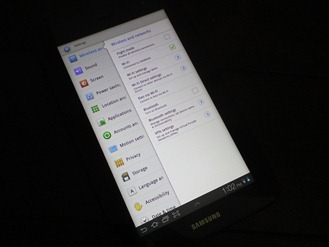 As with all Samsung's tablets, the battery is not removable. The front-facing camera seemed adequate, but it was no where near as good as the one on the rear, obviously. While it is 2MP, the quality seemed no better than VGA to my eyes when looking at the results on the Tab's display. Speaking from a price-agnostic standpoint, the Tab 7.0 Plus gets very high marks, it's definitely the best Android tablet I've ever used. And if you want a fully-featured Android tablet, but don't dig the larger 10.1 inch models out there, this is the device to buy - it's even cheaper than some of them. But when many people walk into their local Best Buy, Walmart or Fry's looking for a new tablet, it's safe to say they're probably searching for a good deal. Now that Apple has discontinued the original iPad after slashing its price to $400 when the iPad 2 was released, your only sub-$500 tablet options are generally running Android. 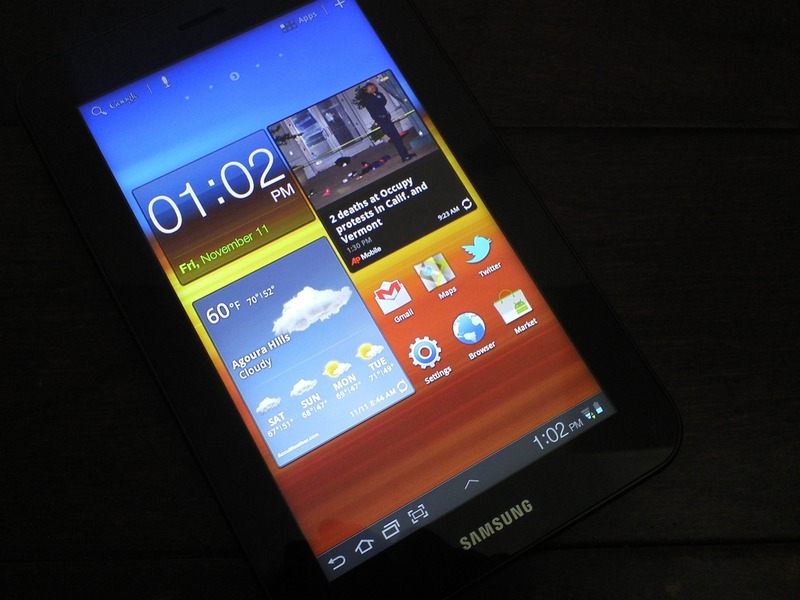 Samsung's Galaxy Tab 7.0 Plus aims to occupy the same price point that its predecessor, the Galaxy Tab originale, once did - $400. The Galaxy Tab sold like crap - despite whatever Samsung's claimed sales to countless brick and mortar or online retailers were. The next full-on Android tablet to try the 7" form factor was the HTC Flyer - priced at a truly absurd $500. That worked out about as well, and sales at Best Buy were so terrible that the store dropped the price (online and in-store) to $300. They're still available (and thus, competing with the Tab 7.0 Plus), even though we're pretty sure HTC has stopped making them. Why am I going on and on about the economics of 7" tablets? Because it's pretty clear that consumers aren't going for the idea of a small, high-end tablet. 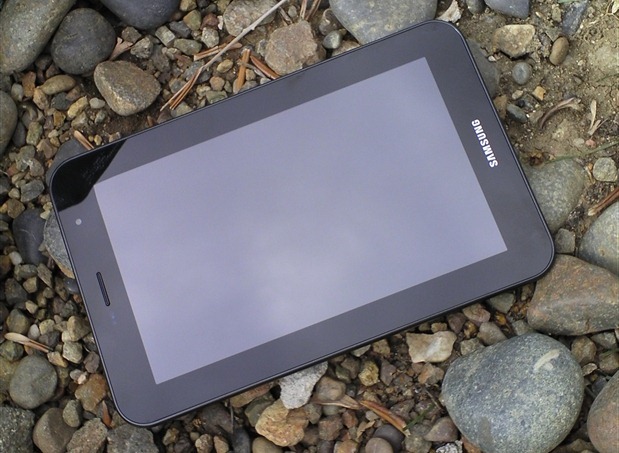 The original Galaxy Tab wasn't exactly a perfect device when it was released, either - complaints about browsing speeds, general slowness, plasticky build quality, and a lack of apps which were designed to look good on a 7" screen were common. 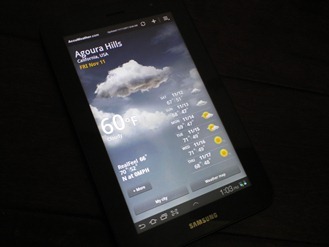 With the Tab 7.0 plus, all of those problems are gone. Samsung literally fixed almost every thing there was to gripe about the original Galaxy Tab, except the one thing that kept it from being a marketplace success: its price. 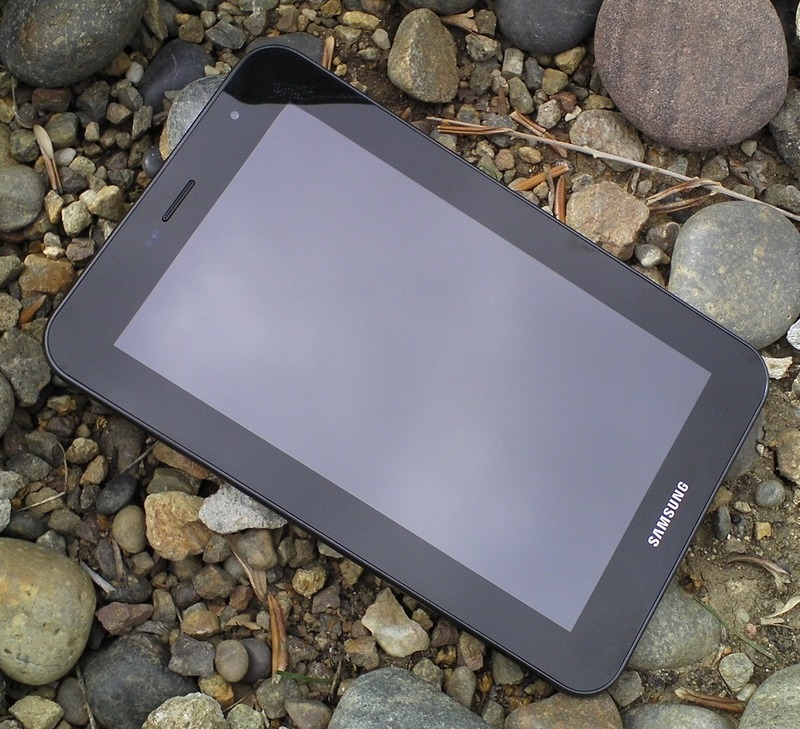 And now, with the new NOOK and Kindle Fire on the way, the Tab 7.0 Plus may get overshadowed in the market by cheaper alternatives which, though they aren't as powerful, fully-featured, or maybe even as well-built as the Tab, will probably catch consumers' eyes with their much lower price points. If I had $400 to spend on a tablet today, this is the one I'd buy, but it's hard to ignore the fact that you could pick up two Kindle Fires for the price of one Tab. The Tab 7.0 Plus, then, will most likely end up relegated to the enthusiast crowd, much as its predecessor was - making it the greatest tablet you'll probably never buy.